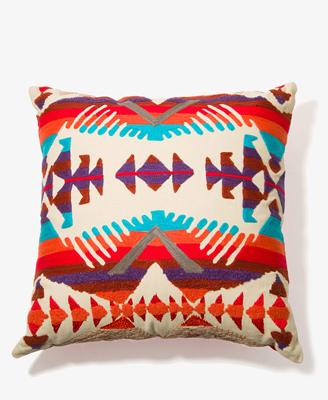 Forever 21 recently launched a small "Home & Gifts" section on their website. I took a look and found this awesome Southwestern Decorative Pillow. I love the bright colors and fun print. This is a great pillow to throw on any couch or add to your bed. Staying consistent with the rest of the site, this pillow is affordable at only $19.80.